Elizabeth Epler Jones is a Partner at AXIA Partners with over 17 years experience in internal controls, financial statement auditing, internal auditing and financial consulting. She has extensive industry knowledge in Energy (emphasis on exploration and production), Manufacturing, Gaming and Racing. Elizabeth has provided a wide range of services to clients that include SOX implementations (design, documentation and testing) and project management, internal audit, enterprise risk management implementation and financial reporting. Elizabeth joined AXIA in 2005 and is accountable for the execution and management of AXIA’s Sarbanes Oxley practice which includes building and maintaining client relationships and development of AXIA’s SOX methodology, accompanying templates and management reporting tools. She interfaces with executive management and Audit Committees from project set-up to final Audit Committee reporting. Elizabeth liaises with external auditors as client advocate, reviews and delivers final product with analysis of results and creation of action plans. Additionally, Elizabeth has facilitated and managed an enterprise risk management risk assessment for a $500 million manufacturing client. Prior to joining AXIA Partners, Elizabeth worked as an Internal Audit Manager at Jefferson Wells and a Manger at Arthur Andersen, where she gained experience planning, managing and performing internal audits and SOX implementations, preparing financial statements and filings with the SEC and managing the overall audit. Some of Elizabeth’s responsibilities included coordination and preparation of quarterly and annual report, preparing financial statements, drafting footnotes, overall project management and overall document review. Elizabeth earned a Bachelors of Business Administration degree, with Honors, in Accounting from Texas A&M University and is a Certified Public Accountant. 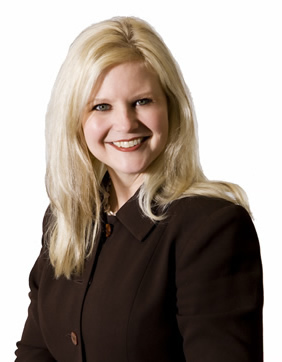 She is a member of the Institute of Internal Auditors, the Texas Society of CPAs, is a Lifetime Member and Committeeman of the Houston Livestock Show & Rodeo, a member of the Junior League of Houston and serves on the Trinity Episcopal Church Endowment Board.